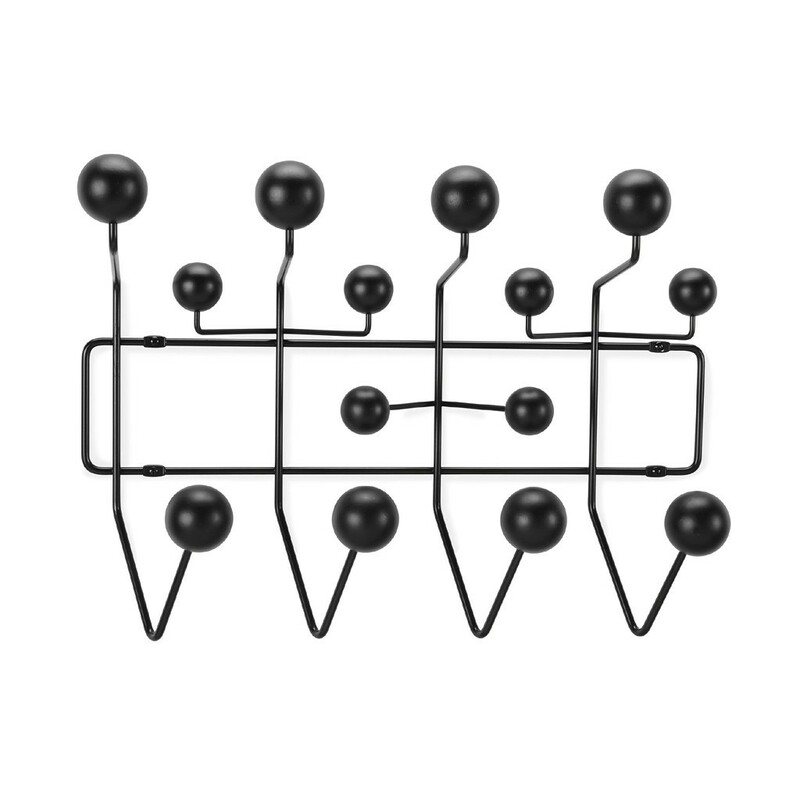 The 'Hang it all' coat rack designed by Charles and Ray Eames is a design classic. 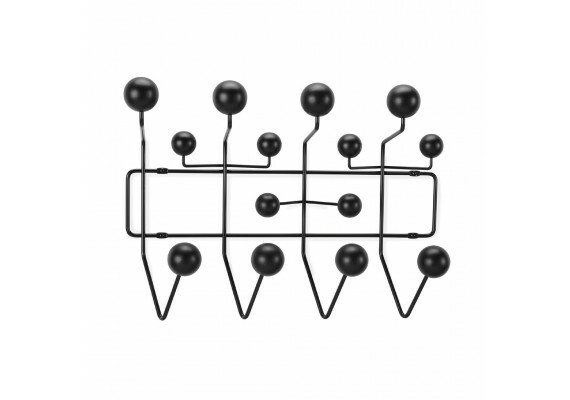 The original colourful coatrack encourages children to literally hang up all their things. This new Hang it all is made in black ash and black steel wire. 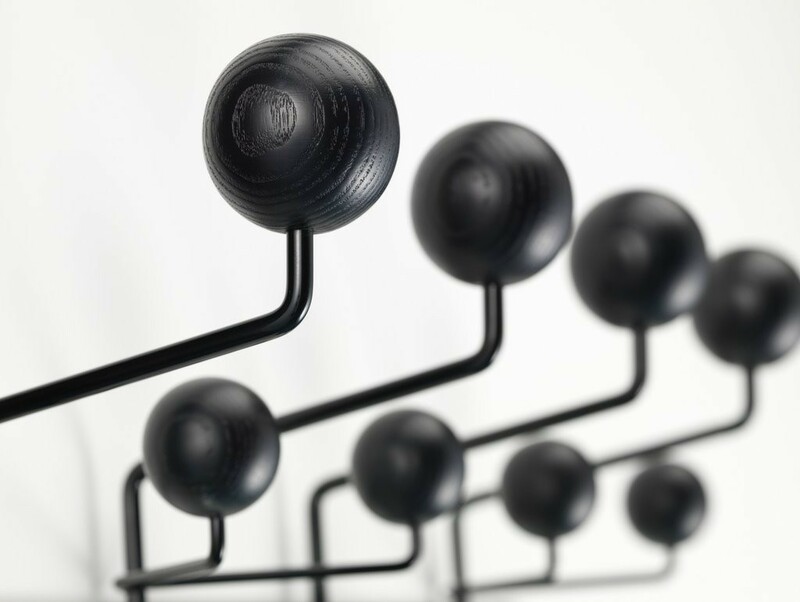 It makes the coatrack more suitable for classic and contemporary houses. Dimensions: 50,5 x 37 cm, d. 17 cm.